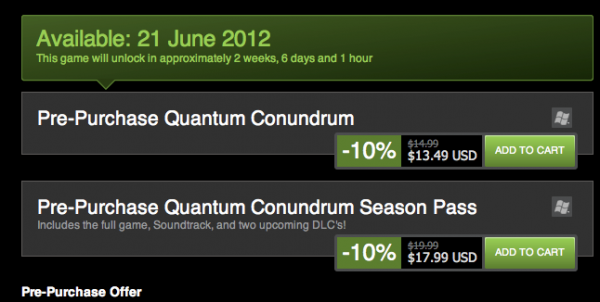 As Quantum Conundrum hasn’t left the Summer 2012 release date, something has popped up on Steam for the pre-order page. 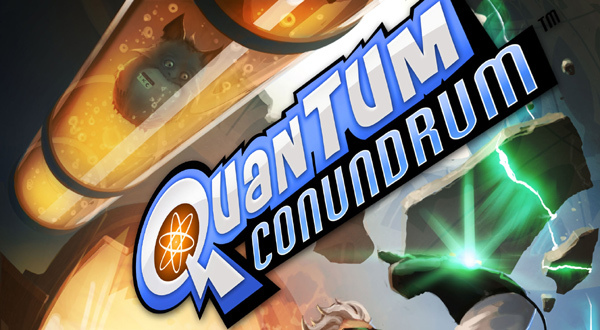 A release date of June 21 for the Steam release of Quantum Conundrum has now been confirmed but what of the XBLA release? No other details have been announced but a Square-Enix representative said they will discuss it shortly, maybe even at E3 2012. 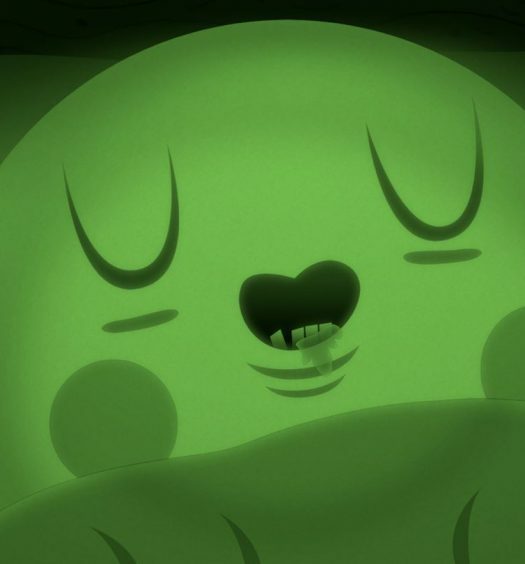 Another thing to note is on the Steam page, their seems to be something called a “Season Pass” that seems to have the soundtrack, TF2 items and two upcoming DLCs. 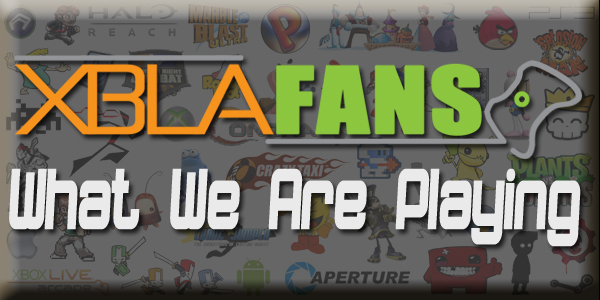 Whether or not that DLC will come to XBLA remains to be seen but it’ll be at E3 2012 as will our XBLA Fans team to witness the puzzling action.